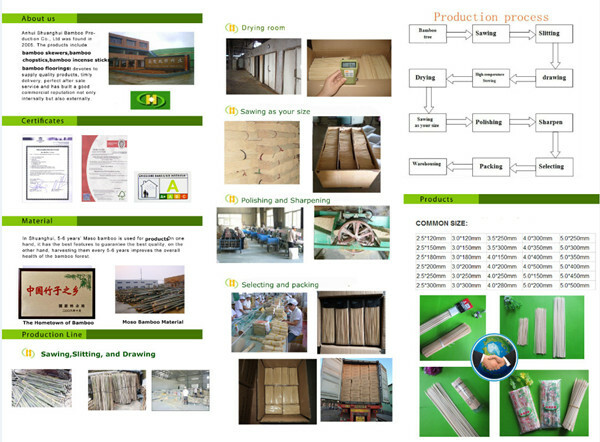 As a manufacturer , we can design our products' size and outer packing according to your needs. 1. High quality, they are hard and not easy to break, no burls. 1.Made from 100% high quality natural Bamboo materials. 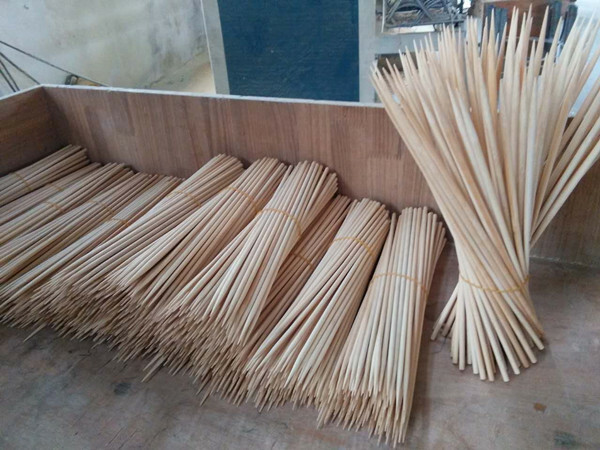 We are a professional bamboo, wooden, osier and rattan items maker, also, our company supply not only high quality products with competitive prices but also excellent services. Bamboo skewers are used to make kabobs on a grill. They must be soaked before using or else they can burn up from the heat of the grill. Once soaked, you can place meat, fruit or vegetables on them and grill them as usual. Metal skewers do not need to be soaked. 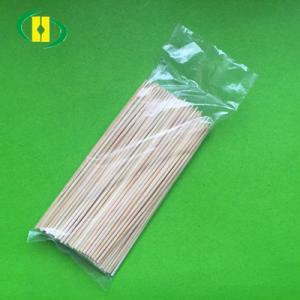 A nice thing about using bamboo skewers, as opposed to metal skewers, is that they do not get too hot on the grill, and can be held immediately after removing from the grill.